Manchester's leading cocktail evening returns to deliver a double header of cocktail creativity across two floors of New Century Hall this November. 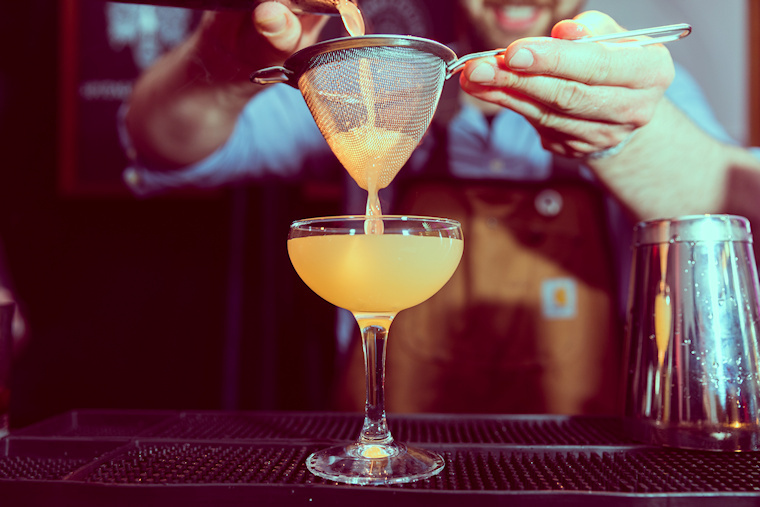 Discover an iconic venue where ballroom and warehouse collide, journey through the age of cocktails with 25 of Manchester’s finest bars and enjoy an unforgettable evening of cocktail exploration this November. Adventure into the new immersive Tasting Rooms hosted by 31Dover.com and enjoy intimate 30 minute sessions with craft spirits producers, take part in espresso martini masterclasses with Tia Maria & The Coffee Project and enjoy awesome street food and live DJ sets. Manahatta, School for Scandal, Science + Industry, Tast, Tattu, Vesper, The Washhouse, Wood and Co.
Tickets are £12 which includes a cocktail on arrival and a cocktail booklet. Cocktails on the evening are £6.50 all night, from any of the participating bars.